In case you are struggling with credit card debt and want to get out of this troublesome situation, then you can opt for various options that will provide you with respite. You should understand that you may get debt relief but once you have accumulated a lot of credit card debt it is very difficult to pay it off. Thus, you should try your best to use your cards wisely and take all precautions to endure that you do not fall into credit card debts. Some mistakes that you should avoid in order to stay out of credit card debts are as follows. It is very important for you to have an emergency fund. This is essential so that you can draw from it in case a financial emergency arises and you do not need to use your credit cards at such a time. It mostly happens that you may end up using your credit cards in the event of an emergency, due to the lack of an emergency fund. This leads to huge credit card debts that are very difficult to repay. If you have an emergency fund, then the cash requirement in case of an emergency will be fulfilled by that fund. Do not miss credit card payments or pay late. This is because if you are late in your payments or miss out on payments your creditor will charge you with a late fees which will increase the amount of your debts. Your credit score will also drop and in some cases the rate of interest is also increased by the creditor. Thus, you may fall into debt due to the increase in the amount that you have to repay. You should not use your credit cards to finance those things that you can not afford. Thus, charge only those things that you will be capable of purchasing. If you can not pay for it in cash, then you should not buy it through your credit card as well. 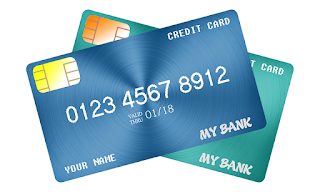 You should not use your credit cards to pay for your daily necessities such as groceries, rent, etc. Your income should provide for that. If you have to use your credit card to purchase these things, then you are in financial trouble and must put a check to the situation in order to avoid credit card debts. In order to avoid credit card debt you must ensure that you pay the balance in full every month. This way you will not have to worry about meeting the minimum payment. These are a few mistakes that you must take care to avoid if you want to remain debt free and stress free.